This post is sponsored by HI-CHEW. I only work with brands that I love and opinions are my own. Yay! It’s fall! And that means hoards of holidays, with the first up being Halloween. Halloween is a favorite of my family. We have already begun decorating our home with signs and spiderwebs and our costumes are picked and purchased. Now every year when it comes to Halloween we always have to pick and choose; who takes the kids and who hands out the candy. I am old fashioned in that I want to hand out candy, not leave a bucket for it. Last year my husband took the kids out with some neighbors and I stayed behind to compliment visitors’ costumes and make sure plenty of candy was had for all. This year our son is going out with neighbors and my husband and I both get the pleasure of handing out candy! I am looking forward to all the kids faces and costumes this year as well as dressing up. Passing out candy is a treat that we personally LOVE! Of course when it comes to picking the candy we hand out, it’s serious business. The kids care because they love delicious things and we care because if we get stuck with any left overs we want to enjoy eating the rest! 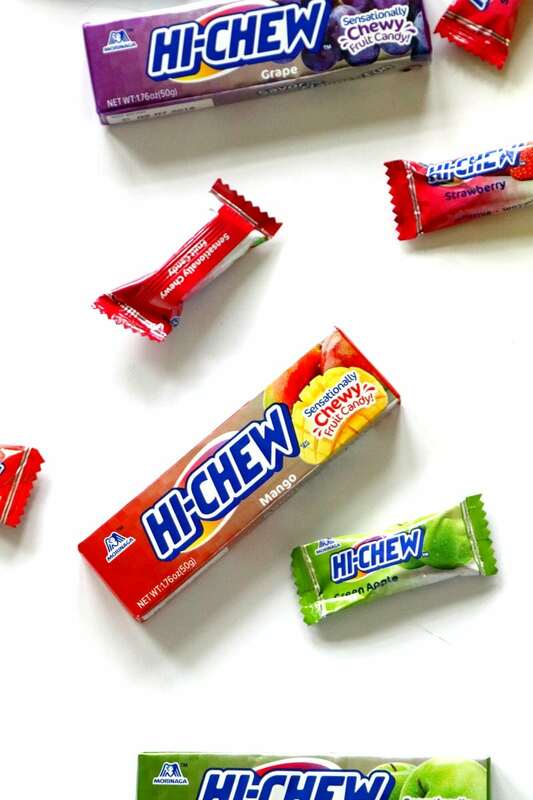 This is why we LOVE handing out HI-CHEW. HI-CHEW is a chewy fruit candy from Japan. They are SO addicting and you cannot eat just one. Or two. Actually, I usually have a hand full at once! With an easy grab from HI-CHEW’s Original Mix bag, I can hand out individually wrapped HI-CHEW pieces. Plus, for the older kids, I can pass out HI-CHEW Sticks that contain 10 amazing candies inside, with flavors such as Strawberry, Grape, Green Apple, Mango, Banana and Kiwi! While I try to prep my house weeks prior and have all the candy bought, this time I have had a hard time keeping our HI-CHEWs in the house. I started out with 2 bags and am now down to one. Instantly addictive, everyone keeps grabbing them off my desk and running off! Now that you have your candy all done, you need to get ready for the big night! I have created a super fun Trick or Treat Bingo to help make your Halloween night even more fun. While you are walking around to get your candy, make sure you are on the lookout for those ghostly costumes and decorations. Be the first to announce BINGO in your family for a ghostly good time! Halloween is such a perfect parenting and kids night that we love to prolong the fun around here ourselves. To raise the stakes a bit, give a grand prize of ALL the HI-CHEW in the house to whoever shouts B-I-N-G-O first! 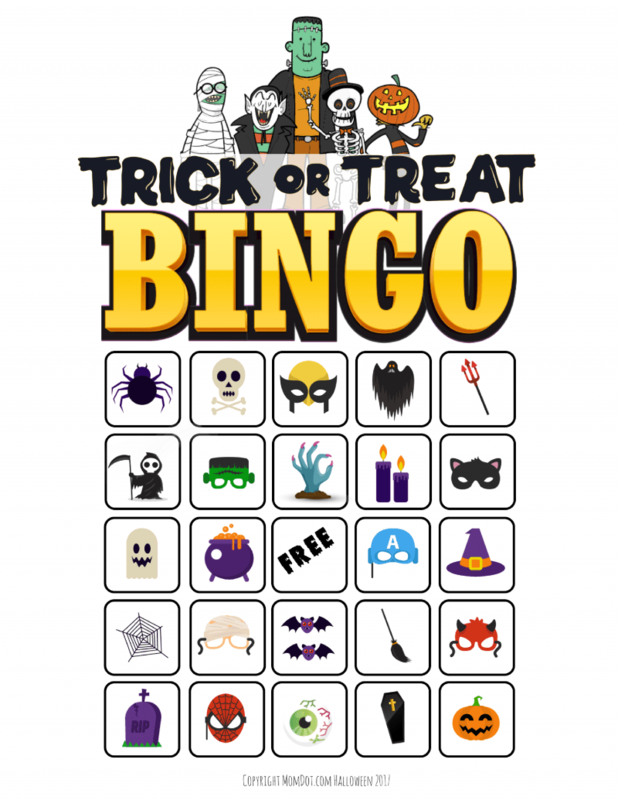 Download this FREE HALLOWEEN TRICK OR TREAT BINGO CARD here. You can also use this prior to Halloween by walking around your neighborhood and trying to find the matches. Just click the image below to start on your instant download! You can pick up your HI-CHEW candies easily! Just grab your favorite flavors in bags or sticks at Walmart, Target or even Amazon! Check out the many flavors by clicking below.